What does the 14.5" dimpled MWS weigh? Thank you. I’ll have to weigh it at work. I had a weight on the barrel itself at one point but I don’t remember what it was. As to the rifle overall I am curious myself. I’ll get a measurement. I just git a Scalarworks gen 3 micro mount that weighs 1.65oz....a T-2 weighs 3oz for a total of 4.65oz mounted T-2. Your rifles weighs 139.76oz + 4.65oz = 144.41oz or 9.025lbs. Throw in KAC or LMT sights, and a M300c...sub 10lb kitted out, most bombproof .308 AR ever conceived. That's a special rifle. After getting the MLC, that's all I want. The feel in the heads is just perfect! I wish I owned that rifle! Lotta time, and money already invested in it. ETA: DAT trigger guard, dang that's sweet. I wants MARS everything in my life. IWSs, and a half ambi MWS lower will have to settle for awhile though. Last edited by ALCOAR; 02-02-19 at 15:31. Yeah I've been out of the, what's in, in the current AR market. I fully disclose that I didn't know who Scalarworks was until two weeks ago. I've researched their mounts and they appear to be Kool-Aid worthy. Would love to give the red dot mounts and a 34mm Scope mount a go. I've only experienced Laure Mounts thus far and have Lusted over Sphur, KAC and Giessle Mounts. You're correct though, this rifle could go mobile I believe if set up properly. A lot with the MWS though is balance and it will always be somewhat of a redhead due to the barrel collar making them slightly more front heavy then their peers. 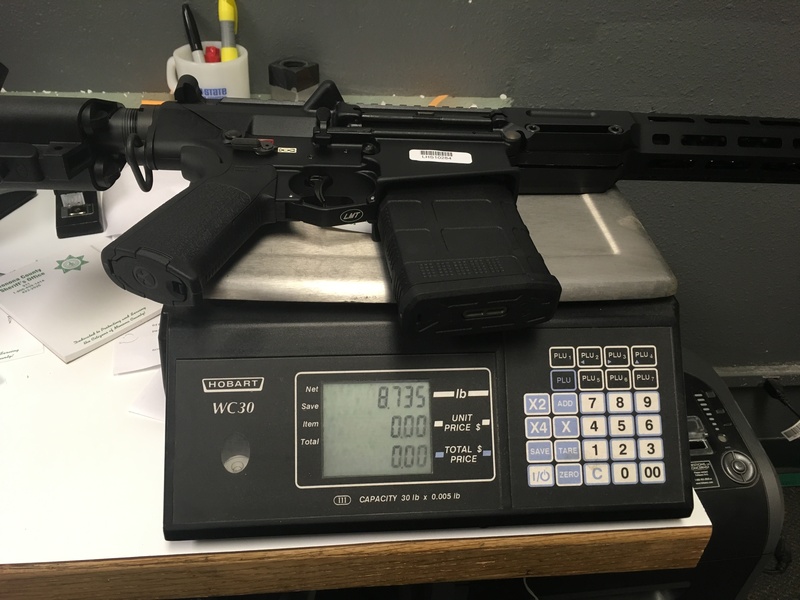 I have a co-worker that owns a PredatOBR 14.5" that was the handiest feeling 7.62 I've ever felt. I haven't compared the MLOK MWS to it yet, but I would suspect it still eeks it out. However the PredatOBR has a lighter profiled barrel. I'd be curious to feel an MLOK MWS with a factory LMT light weight barrel that was 14.5" and pinned. Wasn't an offering when I ball milled mine. I would bet though that as far as function the LW barrel would be favorable. The ball milling looks great but I'm sure a thinner profile would make a more user friendly rifle. The MARS Lowers are quite a leap forward for LMT. I like them quite a bit more then the ol 5.56 defender. The MARS-H is more feature rich, but the original MWS Lower was quite a bit nicer then the 5.56 variants...more KACish. Last edited by Sabre675; 02-02-19 at 19:00. Thanks for the enjoyable commentary, and reply. To still pull off KAC weight all the while maintaining that massive barrel extensive/headspace collar/hookup is truly the best of both worlds when you factor in just what you get in return for that huge barrel hookup design. It's rigidity & significantly reduced amount of flexing under fire yields about as perfect of a base to build accuracy on as possible within the AR design. It also acts as a huge heat sink increasing it's heat dissipation over other designs helping with accuracy, and potentially extending barrel life. ☝️All great points. For the money I’ve invested I could have easily went with another brand. I truly have no regrets with the path I’ve taken. In fact I have grown more passionate about the platform and value banter with others that share this affliction. Keep it up my friend, your new MWS build is the epitome of this thread's purpose. I love to see the possibility, and envelope pushed to the max by folks like yourself in this thread. This particular model features a 13.5″ light weight barrel with pinned 3-prong flash hider, ultimately reaching 16″. No tax stamp required! Getting a 13.5" LW barrel pinned direct from LMT would be fantastic! That is very, very cool. LMT is at least thinking outside of the box a bit with the MWS Platform.